Political analyst, Ebrahim Fakir, asks why only now South Africans are being called to take to the streets against President Jacob Zuma. Here is the thing about Saturday’s Ahmed Kathrada Memorial and ALL of the different speakers’ messages – they may be politically appropriate and good. But they are so for the ANC and its alliance partners’ members and supporters. You should and ought to be concerned by the president of the Republic’s behaviour – but be cautious and do NOT be swept up by the rhetorical flourish (unless you choose to). This is a fight amongst the different political elites within the ANC and its alliance. 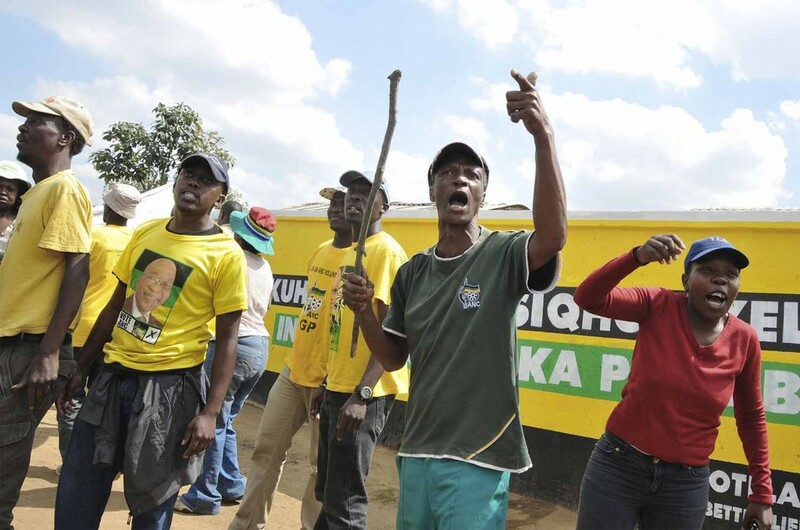 It is NOT the business of ordinary South Africans who ought to have nothing to do with this mess, created by the ANC and its alliance partners. People who want the president to step down. Fine, pressure for it. But then outside of an election who should replace him? Former Finance Minister Pravin Gordhan and others want people to take to the streets… why? For what? Because the president is corrupt? We’ve known this from long long ago. It was known since circa 2005 and concretised in 2011 and every year since then. Yet he was legitimately in both, internal ANC elections and subsequently national public elections and because him and his party was elected in majority – through Parliament – legitimately as president. Now, Pravin and Barbara and co. want the public who are not part of their party to take to the streets to fight their internal party battles? A. The public is not the private and the private in not the public. B. The ANC is not the country and the country is not the ANC. C. The ANC is not the society. The society is not the ANC. The ANC is a political party. It exists in the private realm and ONLY when it inhabits elected public office and executes public administrative and management functions – does it do so publicly in an exercise of public power. So all speakers today and St. Pravin in particular bangs on about, “This is OUR ANC”. So right he is. Those who believe so and feel invested in it – they must go save it. Fine. What does it have to do with the rest of the public? The rest of the public cares when Zuma and his government exercise PUBLIC power poorly, badly, ineptly, illegally and corruptly. And have a right to demand PUBLIC explanations for that exercise of PUBLIC power. That JZ as president of the ANC did not consult his top six or other senior leaders of the ANC – so what? What publicly elected office do they hold that the rest of us in the public should care that he did not do so? Its got fuckall to do with us. When the Scorpions were done away with, when due process of the law had to be followed with respect to JZ 783 – did they ask the public to take to the streets to defend their public institutions and the norm of the rule of law? When the Guptas landed their aeroplane at Waterkloof – Pravin and Barbara others didn’t ask the public to take to the streets? Since 2010/2011, we have known that public enterprises were bankrolling The New Age newspaper and having public institutions bankrolling their business breakfasts and engaging in other fong kong (but not necessarily corrupt) deals. Did they ask the public to take to the streets? NO. They were busy addressing these breakfasts. They knew as senior elected public servants – that other public servants in official bureaucratic capacities as well as others in elected office were facilitating deals for the Guptas. Why didn’t they ask for the public to take to the streets? When JZ as head of state and Baleka as speaker of Parliament collectively had seven court cases go against them – why continue to sit in cabinet and NOT ask the public to take to the streets? When JZ repeatedly manipulated the security cluster ministries – where was the call to take to the streets? Why then NOT as the public to defend their public institutions of safety and security? When ANN7 was abusing the SABC – for a full three years. THREE . Why didn’t they ask for the public to take to the streets? Funny – when uBaba (re)shuffled Nhlanhla Nene out of Finance and out of cabinet altogether on the pretext of a bald faced lie – no one asked the public to take to the streets and defend their public institutions. The Nkandla saga has been ongoing for a full FIVE years and more. When the Constitutional Court’s findings were rubbished, did they ask the public to defend the court? When the government flagrantly and blatantly DEFIED orders of court (Al Bashir) and irregularly and unthinkingly took executive action – trying to withdraw from the ICC – in the process undermining not only Parliament but its human rights commitments; funny hey, no one asked the public to take to the streets. Repeatedly – on Nkandla – processes were botched and MANIPULATED at Parliament, the Special Investigating Unit, the Public Protector, in the Executive, repeatedly in Parliament through the ad hoc committee and in the plenary – did they ask the public to take to the streets to defend due process? The processes of the people’s Parliament, the integrity of all public processes and public institutions? They don’t get the distinction between the public and the private. Neither does it appear do you. Where were the calls to take to the streets when defending the constitution, public institutions, public institutions and public morality really mattered? The ANC must sort out their own mess. That they created. Themselves. Leave the public out of it! The public will get the chance to do remedy things in 2019 – in public national and provincial elections. We, “the public” as you refer to us, care now more than ever because for the first time Mr number 1 has a means to get his hands directly into treasury. How much hard earned tax rands that could be spent on development and bettering our future for everyome, will go astray into his pockets and the deep pockets of the Gupta’s? If we wait until 2019 like you suggest I fear there will be no country to save. If you do not see this then I fear your time as a researcher may have been wasted. Why not try your hand at comedy.